« Hi, how are you . .
How many of us would dare to say we know God? Knowing about God is not the same as knowing him. And for many of us a little personal knowledge of God would be worth so more than a great deal of knowledge about him. Today we place a lot of importance on having a personal relationship with God. And yet how many of us truly know enough about him to have any depth of authentic relationship. We risk creating a god in our own image and attributing human characteristics to him – distant, uncaring, unpredictable, lacking in power. At the end of this journey we may find ourselves disillusioned. So how much can we expect to know God and have a relationship with him? Reflecting on my mortality has brought these questions right to the forefront of my thinking. 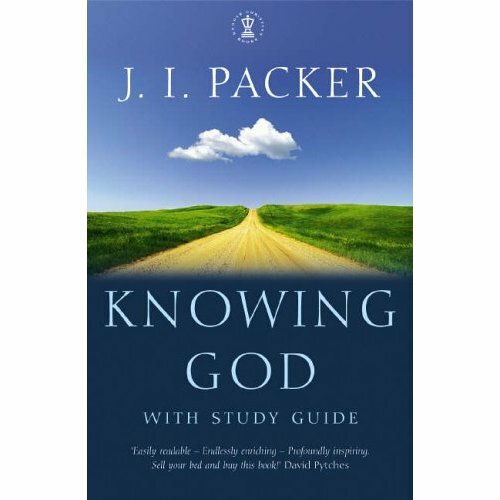 And there on my bookshelf was a copy of J.I.Packer’s classic book Knowing God, published in 1973, waiting for me to have time to read it. The book is a compilation of articles that were originally published in a magazine. The readers were christian travellers on a journey of faith. The articles are a guide-book to help them understand the landscape and know how to find their way through it. I love a book that includes ‘how to’ – that is just what I need! Chapter 2 lists 4 characteristics of the people who know their God using Daniel as an example. This is challenging stuff – see how you score . . .
Daniel and his friends lived in a turbulent secular time. He was challenged to compromise his faith or stand up for it against great opposition. He and his three friends had energy and endurance to stand firm in their faith, knowing it would be a long, tough battle. When Daniel prayed, this is how he addressed God: “ Praise be to the name of God for ever and ever; wisdom and power are his. He changes times and seasons; he deposes kings and raises up others. He gives wisdom to the wise and knowledge to the discerning. He reveals deep and hidden things; he knows what lies in darkness, and light dwells with him.” How we pray tells us a lot about how well we know God. Daniel was faced with a choice – compromise your faith or accept the consequences. He counted the cost, measured the risk, stood firm in his faith and accepted the consequences. Now here is a question – On a scale of one to ten how would you honestly measure yourself against these characteristics? Step 1 – Recognise how much we lack knowledge of God. He suggests we measure ourselves by how much we pray and what goes on in our hearts. So what needs to happen to move us from where we are to where we want to be? I am on this journey and I would love to share it with you. Please join me – share with me who God is and how you know him. As the Lords prayer says, he is my father and not just any father, but the perfect father. As a parent I know how I love my children, care for them and look to bless them with every good gift I can provide. No matter what they do or have done in life I cannot stop loving them because they are my children and I cherish the relationship I have with them. Now if I as a human parent can love my children in this way, how much more able is God to do this for me. One just has to look at how family relationships work and one can understand more of God and His relationship with us. How when we feel separated from Him it is because of something we have said or done, the same as children find it difficult to look a parent in the eye when they have done wrong. When children acknowledge their wrongdoing and confess relationship is restored with their parents. The same applies between ourselves and God. I went shopping this morning to buy a couple of items I had run out of. I got in the car, not really taking account of the time and headed towards the supermarket. I was soon caught up in the rush hour traffic, and decided to go home from the shop using a different route – to avoid the traffic – or so I thought. I ended up on the other side of town and discovered that the traffic was significantly worse! I’m not usually a rush hour traveller, and I was very surprised to find out just how bad the traffic is between 8.30 and 9.00 in the morning. All in all it took me almost an hour to buy some butter and toilet rolls! Momentarily I was annoyed at my stupidity in going out at that time of day. But then I paused…….. God, what are you saying to me? When I arrived home, I was peaceful, and very grateful to have discovered what other motorists have to endure every working day! I felt very blessed to be self-employed and working from home. Hi, Sylvia – thank you for adding this comment. Good to hear how listening to God changed your experience of the situation.